JIM FLORENTINE is a stand-up comedian, TV host, actor, podcaster and voice artist. He is best known for co-hosting VH1 Classic's heavy metal talk show series "That Metal Show" that ran from 2008-2015. 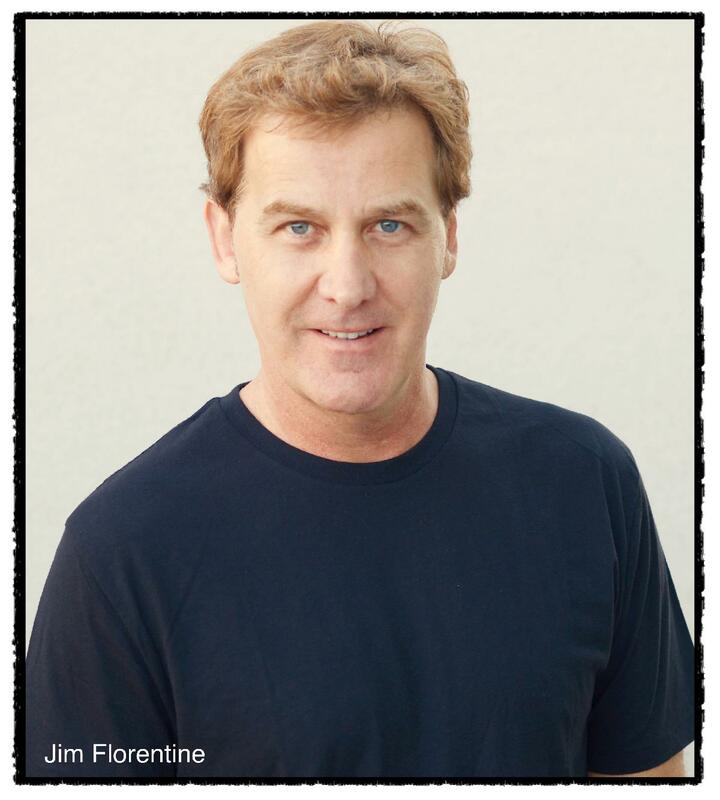 JIM FLORENTINE is also known for his work on Comedy Central's show Crank Yankers where he performed the voice of Special Ed and Bobby Fletcher. Recently, JIM FLORENTINE has appeared in the hit movie Trainwreck as the one night stand guy and on the critically acclaimed TV series Inside Amy Schumer and Louie on FX. He was submitted for an Emmy for best supporting actor for his role of Kenny on Louie. JIM FLORENTINE appeared on an episode of Girls in 2014. JIM FLORENTINE also appears in the feature film "A Little Help" starring Jenna Fischer (Pam Beesley of The Office). JIM FLORENTINE plays the character Brian, who is Jenna Fischer's love interest in the film. A Little Help won best film in several different film festivals. JIM FLORENTINE played a pimp on an episode of Californication in 2014. JIM FLORENTINE played a Cop on an episode of Red Oaks on Amazon in 2015. In June 2012 Jim just hosted the OMA Awards for MTV that aired worldwide. In 2013 Jim opened for the band Metallica at a festival called Orionfest that attracted over 50,000 fans! He also opened for Megadeth, Slayer, Anthrax, Stone Sour, Black Label Society and more. On Oct. 25 2011 Jim released his stand up CD on Metal Blade Records called Cringe N Purge. It landed at #3 on the Itunes Charts and #5 on the Comedy Billboard Charts. Here is one of the many positive reviews. History (taken from Jim FLORENTINE's Wikipedia page): In July 2001, FLORENTINE released Terrorizing Telemarketers Volume 1. After numerous plays on the Howard Stern Radio Show, his CD ranking on Amazon.com went from 282,363 to number 2. The only artist ahead of him was the Backstreet Boys. Later that week, FLORENTINE's CD came in at #17 on the Internet Billboard charts. After the release of Terrorizing Telemarketers Volume 2 in late 2001, Jimmy Kimmel and Adam Carolla took a liking to FLORENTINE's prank calls and hired him for a show to debut in June 2002 on Comedy Central called Crank Yankers. FLORENTINE played Special Ed, a mentally challenged teenager, and Bobby Fletcher, a despicable, alcoholic slob who is the older cousin of Ed. After season 1, Eminem took a liking to FLORENTINE's characters and flew him out to his Detroit studio to do prank calls together for the upcoming season of Crank Yankers. The following year in 2004, Eminem and FLORENTINE did a bit together on the MTV Music awards show where Eminem beat up Special Ed, who kept annoying him (and tore his leg off). Crank Yankers lasted 3 seasons on Comedy Central. The show moved over to MTV2 in 2006 for one season. FLORENTINE's Special Ed character that he created is still played at various Sporting Events at stadiums across the USA. FLORENTINE was featured on the series premiere of Down and Dirty with Jim Norton, a stand-up comedy series that aired on HBO on October 3, 2008. Lemmy, leader of the heavy metal band Motörhead, served as the musical director. Later that year, That Metal Show which FLORENTINE hosts made its debut on VH1 Classic. It's described as "The Tonight Show for AC/DC fans". He is also co-hosting along with Eddie Trunk and Don Jamieson. FLORENTINE has a series of prank call CDs known as Terrorizing Telemarketers Volumes 1-6. The CDs feature a series of recorded telephone conversations, often with FLORENTINE receiving calls from telemarketers, wherein he turns the tables on often aggressive salespeople by being deliberately difficult and creating awkward situations. In 2004, FLORENTINE worked one season on HBO's Inside the NFL performing various comedy sketches. The show won an Emmy that season and FLORENTINE has proudly said in various interviews that when he was single he kept it on his night stand and it would close the deal anytime he had a date over. He called it his "Mariano Rivera". At the same time, FLORENTINE released three hidden camera DVDs called Meet The Creeps where he and his partner Don Jamieson pull outrageous pranks on people. The DVD has got in the hands of some Comedy Central executives and they brought Meet The Creeps to their broadband channel called Motherload. After the two successful seasons, Comedy Central did a Meet The Creeps pilot for the network. The pilot was deemed too mean spirited and the show never made it on the network. Between 2004 and 2008, FLORENTINE made 3 appearances on Jimmy Kimmel Live! on ABC. He also appeared on The Late Late Show with Craig Kilborn. In 2007, FLORENTINE appeared on the last episode of The Apprentice in season 4 doing his edgy stand-up comedy at a conservative charity event. He asked Trump's partner George if he wears a diaper. He has not been asked back on the apprentice since. He was an occasional guest on the late-night Fox News Channel show Red Eye w/ Greg Gutfeld. Later in 2010, FLORENTINE appeared in the feature film A Little Help as Brian, the love interest of Jenna Fischer (Pam Beesley of The Office). In 2016, he released two comedy specials, I'm Your Savior was a critically acclaimed one-man show about his about his life and the death of his ex-girlfriend. His second special released the same year, A Simple Man debuted at number 1 on the comedy charts. In 2017, Florentine had a brand new book coming out with publisher DA CAPO PRESS and also another comedy special.